Congratulations Cassie, we randomly choose a winner and you where the lucky lady who will be winning $500 from The Dessy Group! Stay tuned ladies Dessy will be giving away an even bigger prize than this one if you can imagine that. So, start making your sytle boards and get them ready to enter. 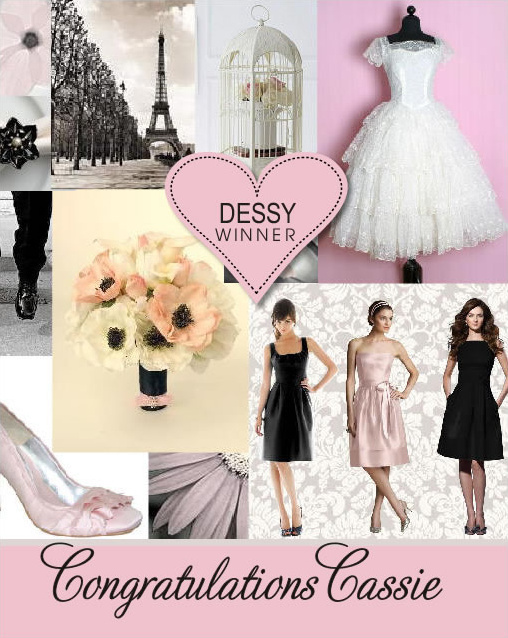 See the winning style board here.